Prescription drugs can save lives and ease pain. They can also cause suffering and create serious health problems. This is because they are powerful substances that alter how the brain and body function. Even when used as directed by medical professionals, prescription drugs have potentially dangerous side effects. When they are abused, the risks become greater. Learn how to identify prescription drug abuse symptoms. This helps you or a loved one then find the treatment you need. Drug abuse does not have to be intentional. If you use a drug without a prescription, you are abusing that drug. If you have a prescription but take the drug more often or in different ways than indicated, you are abusing the drug. The reasons for misuse vary and can include recreational use, self-medication and more. Even if your intentions are good, your actions are still potentially harmful. If you do abuse a drug, you aren’t alone. If you or a loved one is struggling, you don’t have to face the problem alone. Resources exist. You can find understanding and effective treatment. Problems like prescription drug abuse are not easy to solve. There are so many reasons and causes for drug abuse. There are so many individuals with their own histories, current situations and needs for the future. While many factors play into substance abuse, addiction and treatment, some facts do remain consistent. Signs and symptoms vary, but many are universal. Every individual will find his or her personal recovery path, but the possibility of this recovery remains open to anyone. Signs and symptoms of prescription drug abuse vary between individuals. They vary depending on the substance used and how and why it is abused. Painkillers like codeine, hydrocodone and morphine cause drowsiness and dizziness. Depressants like anti-anxiety medications and sleep aids similarly cause drowsiness. Stimulants cause spikes in energy level. All substances can cause changes in mood and behavior. Intoxication can be easy to spot due to slurred speech, clumsy movement or memory loss. However, individuals will expend effort to hide this intoxication. They may simply seem “off,” or their mood, behaviors, actions or words won’t feel quite right. If you notice changes in how a loved one acts or reacts, don’t ignore your suspicions. As abuse progresses to addiction, more signs and symptoms appear. Tolerance develops. This means substances become less effective. You may notice you or a loved one takes more of a drug with fewer signs of intoxication. Using the drug becomes necessary to feel “normal” rather than “good.” Individuals begin to go to great lengths to get enough of a substance to fuel their habit. They may ask for or steal pills from friends and family members. They may begin visiting multiple doctors or pharmacies. They may complain about new or manufactured health issues in order to get new prescriptions. Getting and using drugs comes to replace former interests and hobbies. Individuals become unreliable and are often caught lying or breaking promises. They may be vague about where they have been or what they have been doing. Your loved one may starting skipping school or work. He or she may avoid social events and prefer time alone or with new “friends” who support or encourage drug use. People who turn away from friends and family do emotional harm to themselves and others. They cut themselves off from a healthy support system. Those left behind experience negative signs and symptoms of addiction as well. The family may begin to experience financial problems. Marriages may slowly or suddenly fall apart as anger, arguments and mistrust become more common. A previously peaceful home can become loud and even violent. The American Society of Addiction Medicine says, “Substance use plays a facilitative role in intimate partner violence by precipitating or exacerbating violence.”3 Changes in behavior and relationships are signs of prescription or other drug abuse. They also put the health and happiness of family members at extreme risk. Ending prescription drug abuse quickly and safely is your priority. Protect your health or the health of your loved one. If you think you see signs of prescription drug abuse, reach out. The sooner you take action, the better. Talk with professionals to learn how to talk to your loved one. Discuss possible intervention approaches. Interventions aren’t dramatic, overly-emotional events. They are carefully structured plans for reaching out to a loved one and offering opportunities for treatment. An intervention may follow a classic group structure, or it may involve a series of one-on-one conversations. There are many types of intervention, and addiction professionals will help you choose the best one for your loved one and your situation. After a loved one agrees to treatment, he or she begins detox. You may have noticed withdrawal symptoms as signs of prescription drug abuse before. If your loved one couldn’t get enough of his or her drug of choice, flu-like symptoms may have developed. Detox involves letting the body fully readjust to functioning without any drugs present. The experience varies in intensity depending on how tolerant your loved one is. In a formal detox program, medical professionals help you or a loved one transition from physical dependence to sobriety. Therapy begins once withdrawal symptoms fade. Therapy for prescription drug abuse typically includes Cognitive Behavioral Therapy. It may also include family therapy, contingency management programs, group therapy and alternative therapy options. At Black Bear Lodge, we believe in the importance of customized prescription drug addiction treatment. We build personalized treatment plans that incorporate a wide variety of tools including individual psychotherapy, group skill-building activities, family therapy and more. We want to help you or your loved one heal. We want to bring families back together. Call 706-914-2327 and tell us more about your prescription drug abuse concerns. We can help you identify addiction problems, arrange intervention and treatment or simply learn more about the recovery process. Please reach out today. 1 National Institute on Drug Abuse. “Prescription and Over-the-Counter Medications.” Nov. 2015. Accessed 8 Sep. 2017. 2 Substance Abuse and Mental Health Services Administration. “Key Substance Use and Mental Health Indicators in the United States: Results from the 2016 National Survey on Drug Use and Health.” 2016 National Survey on Drug Use and Health. 2016. Accessed 8 Sep. 2017. 3 Soper, Richard. “Intimate Partner Violence and Co-Occurring Substance Abuse/Addiction.” American Society of Addiction Medicine. 6 Oct. 2014. Accessed 11 Sep. 2017. How Potent Are Your Prescription Medications? 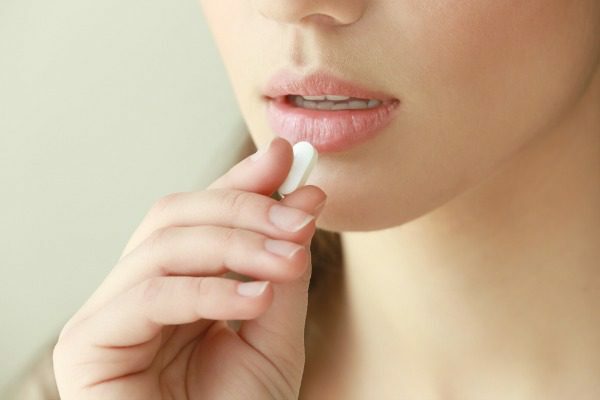 Can You Become Addicted to Antidepressants?